Selection box of edible insects from across our Bush Grub range. Selection box of edible insects from across our Bush Grub range. The set includes a box of crispy mealworms, a box of crispy crickets, a chocolate bug bar and a bug pop. 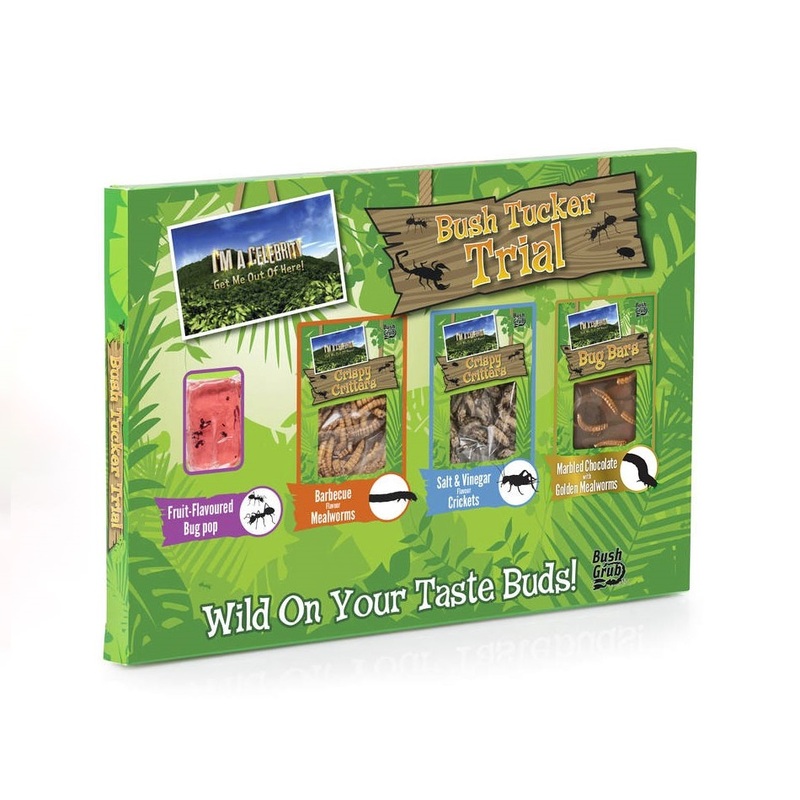 All of these snacks contain real insects that have been dried out and seasoned to taste, which makes the official I’m a Celebrity Get Me Out of Here licensing very appropriate!